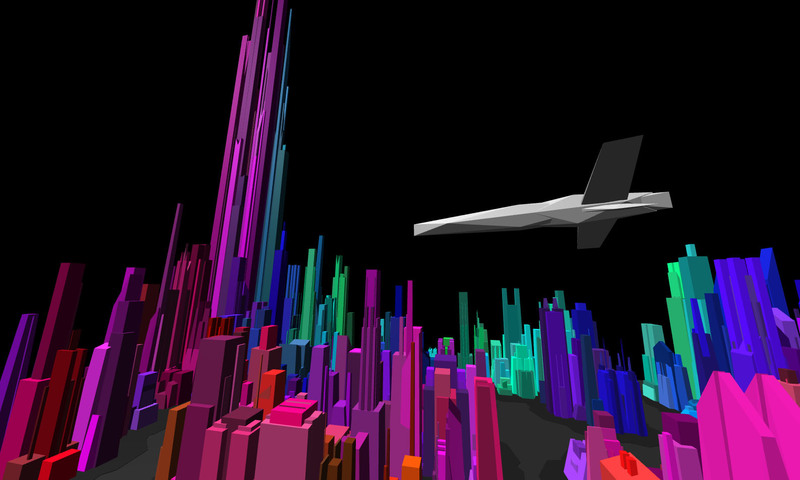 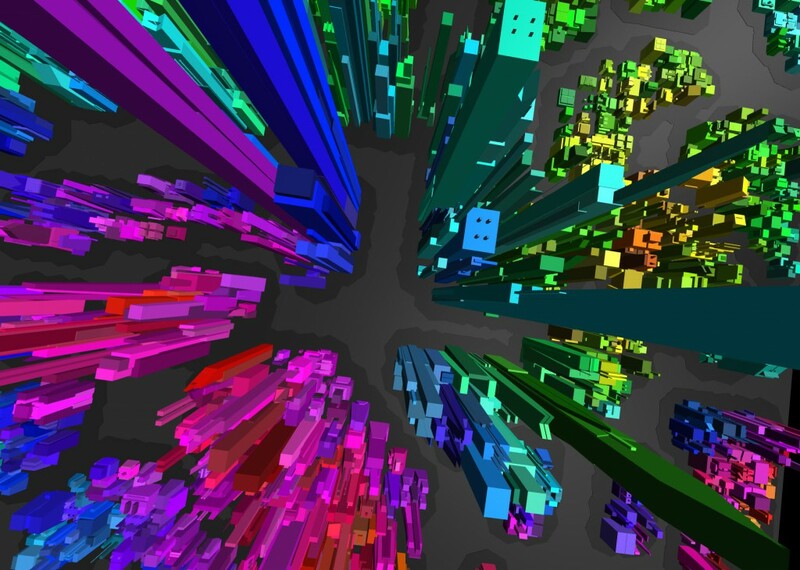 Fly through a cityscape built entirely from algorithms. 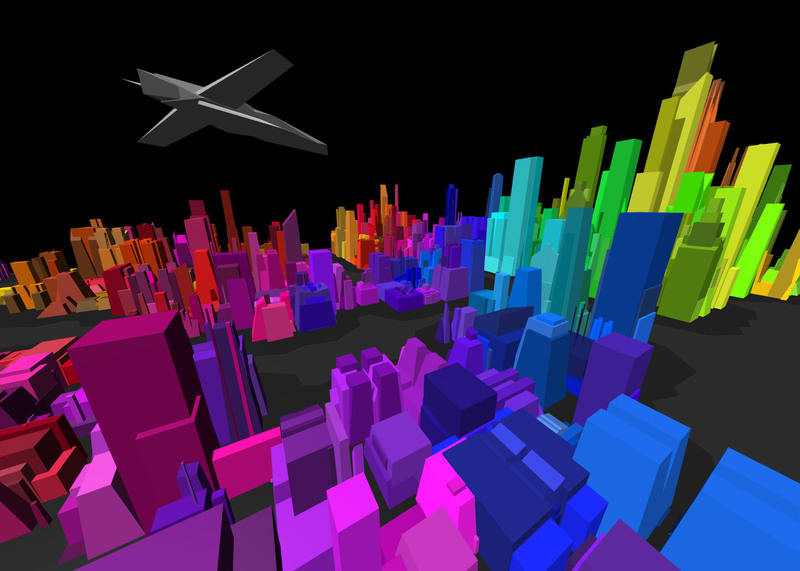 Each building is randomly generated by manipulating cube geometry. 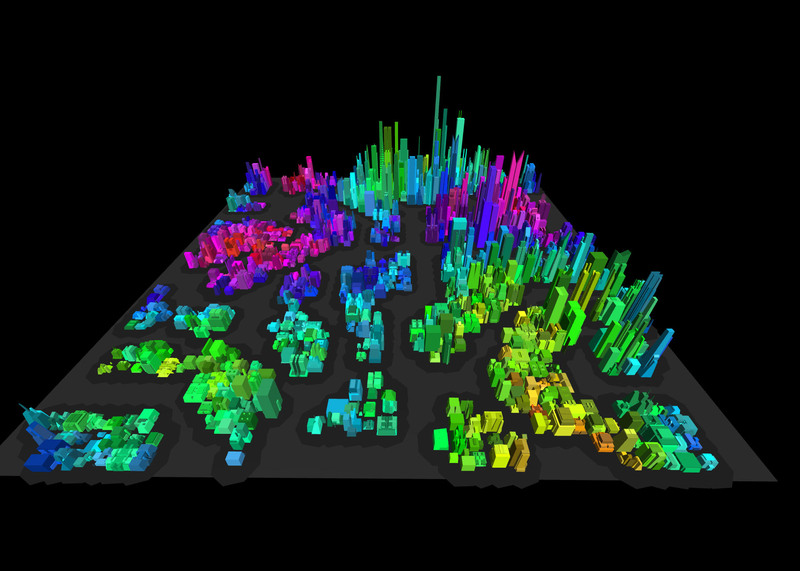 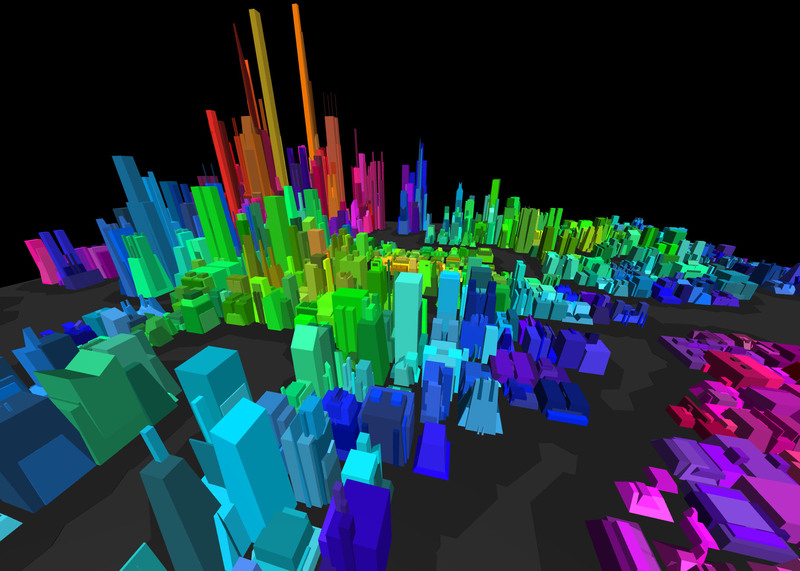 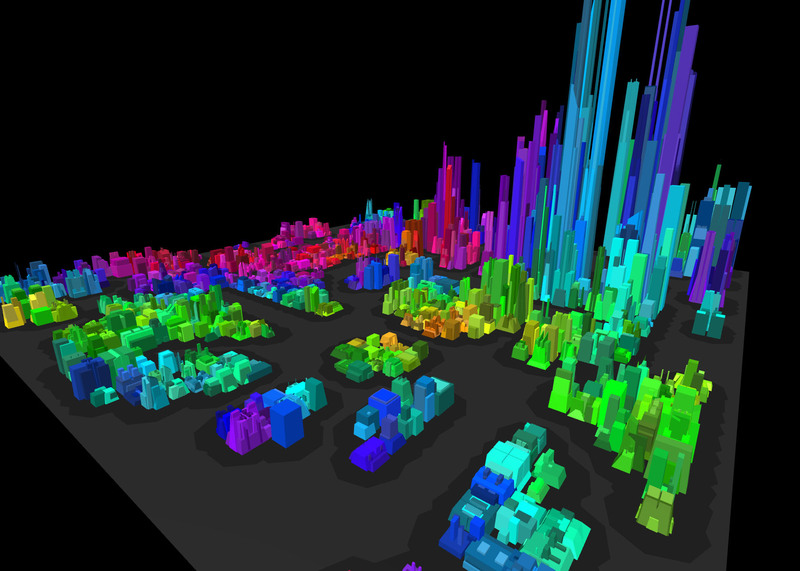 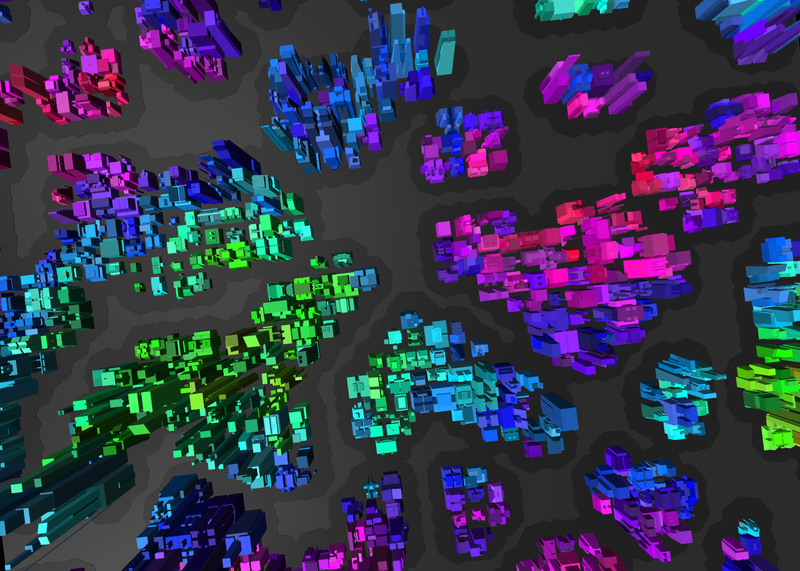 The position, size, and color of the buildings are generated from simplex noise maps. 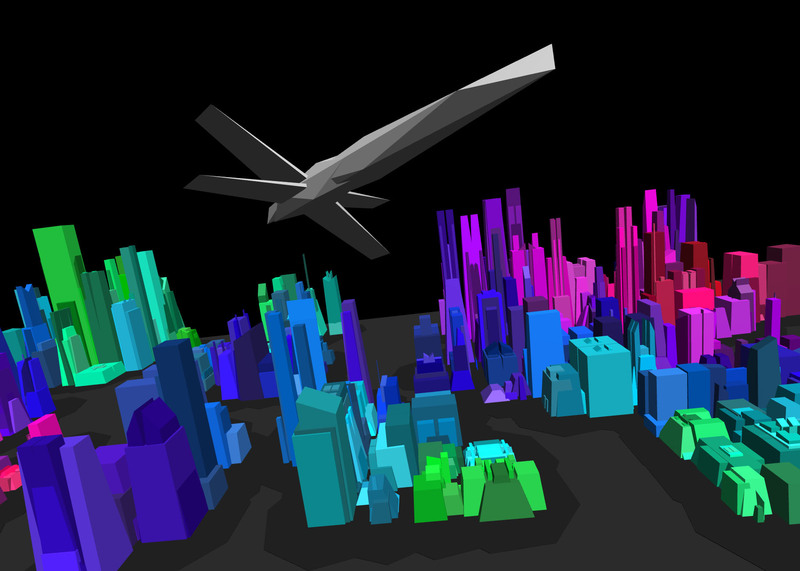 This was built for WebGL using the Three.js library.